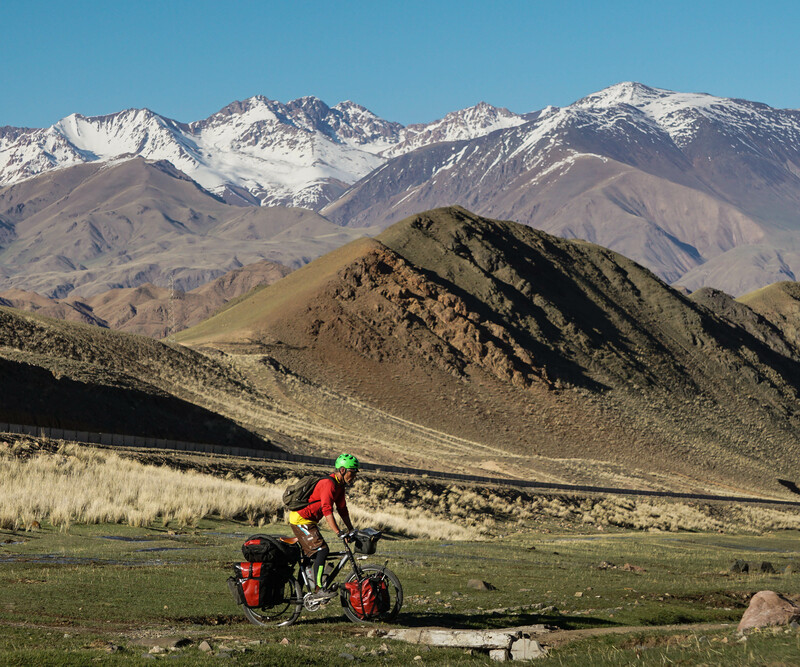 Cycling Central Asia: So Many Choices! I hate having choices. 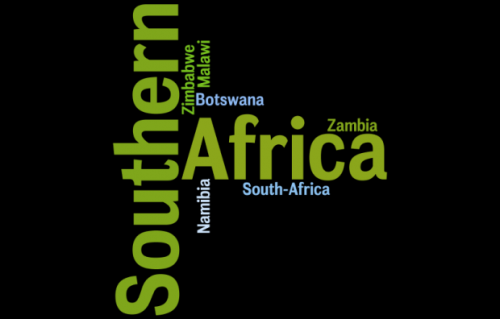 A decade ago, when we first began touring through Africa, route planning was far more clear-cut. Studying our Michelin Africa map usually turned up just one possible route, perhaps two options in more developed places like Morocco, Kenya or South Africa. Thick red lines were what we followed much of the time. Without reliable GPS info, following a squiggly white line featured on your Michelin map usually got you lost. There was a good chance the ‘road’ would just peter out in the middle of nowhere. 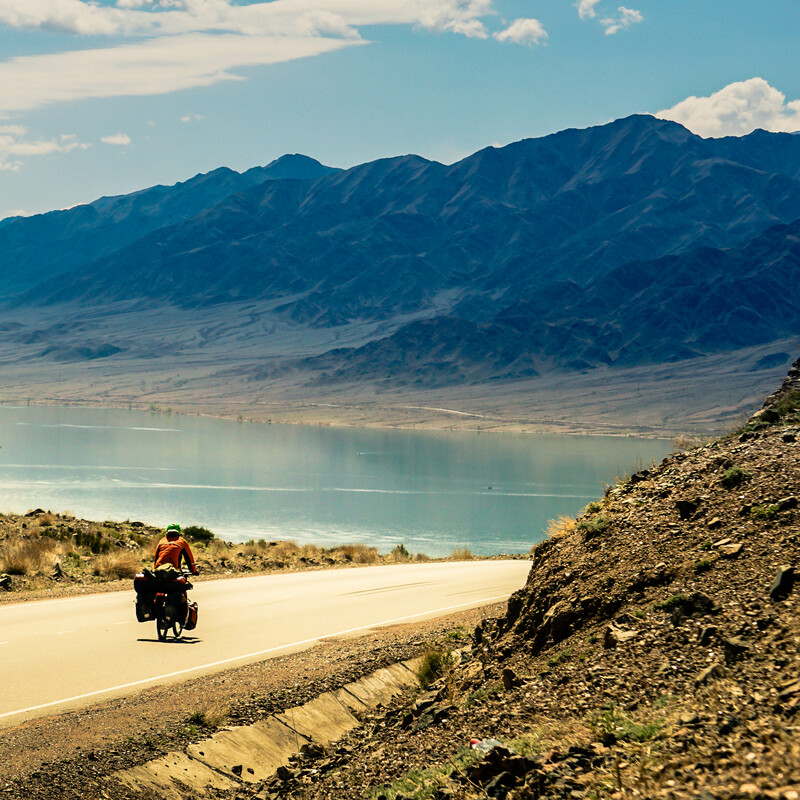 Back in the day, with few blogs online, scant time was spent wading through bike touring websites gleaning intel about routes and road conditions. 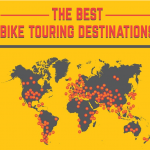 Touring cyclists simply hit the road and discovered countries as they pedaled. It was a simpler time, yet we were happy. 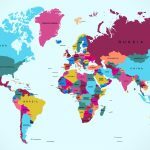 For the most part, Africa churned out far more adventure and excitement than we’d ever expected. But Which Route is the BEST? 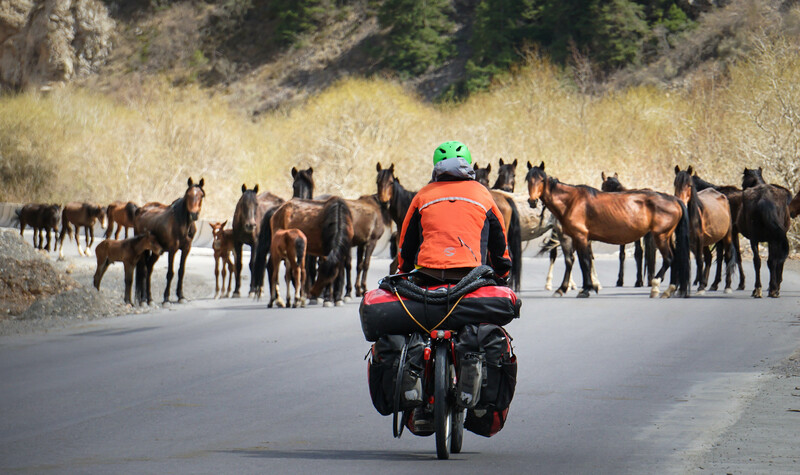 Fast forward to 2017 and the quantity of bike touring information has exploded. 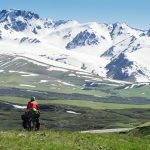 We can churn through hundreds of detailed Pamir Highway bike touring blogs, debate gear and routes on Facebook bike touring forums, download GPS tracks from sites like RidewithGPS, and ooh and ahh at cycling photos posted on Instagram. Should we ride here? Or there? But that route looks AMAZING! All this info can result in a serious case of FOMO. 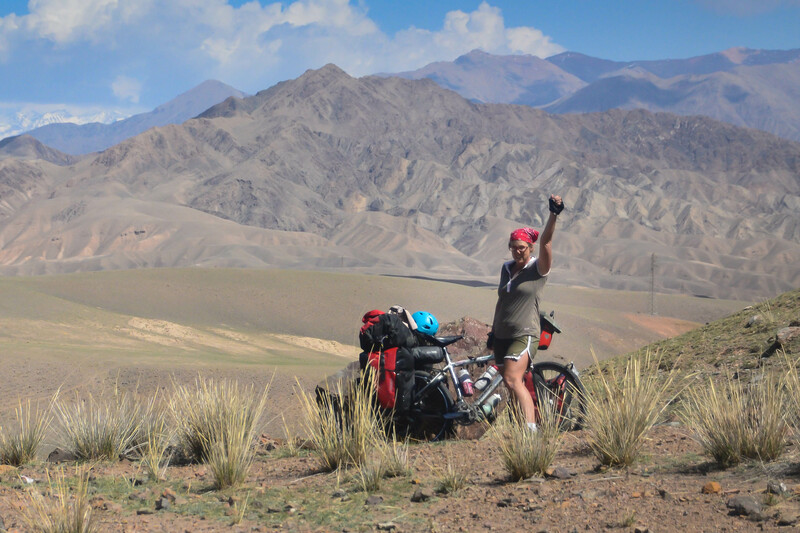 In the end, it was Angie, our knowledgeable Warm Showers host in Bishkek, who convinced us that the back road route to Osh via Naryn would be far more fun and adventurous than the main highway. 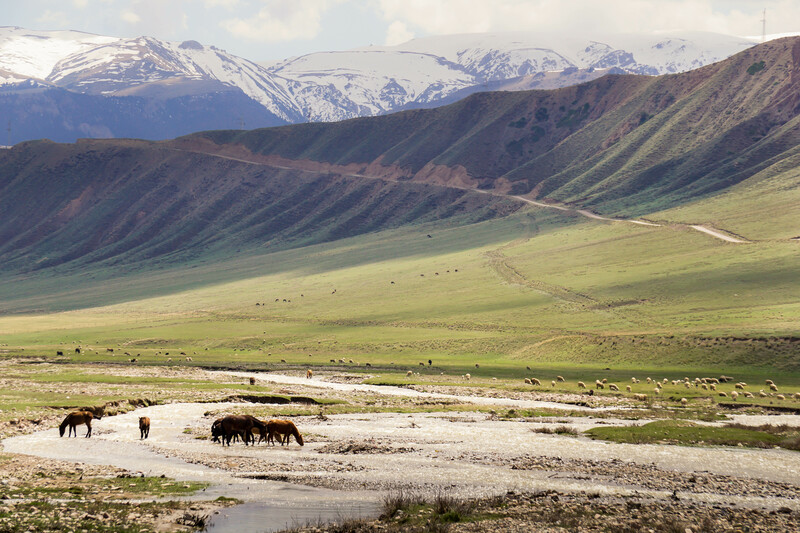 She promised we’d encounter far less traffic and see a more rural, untouched side of Kyrgyzstan. And Angie ought to know. 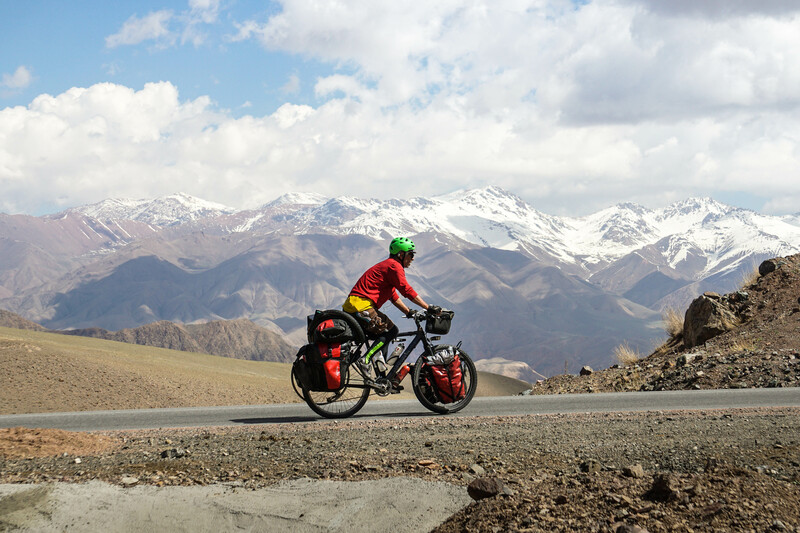 She’s hosted dozens of cyclists on their way through Central Asia. Day one out of Bishkek was pancake flat. Which was good. Our legs weren’t exactly rock strong and we needed to ease ourselves back into touring. Late afternoon, the sky turned an ominous purple-grey and thunder cracked in the distance. Our high-tech weather app hadn’t predicted this! We dashed towards what looked to be a deserted roadside restaurant and were greeted by a friendly caretaker. The gentleman helped us hoist our bikes up the stairs and guided us into an empty banquet room. Not 60 seconds later the clouds burst and rain thundered down for the next several hours. A wave of gratitude swept over me. The kindness of strangers combined with our incredible luck never fails to amaze and humble me. 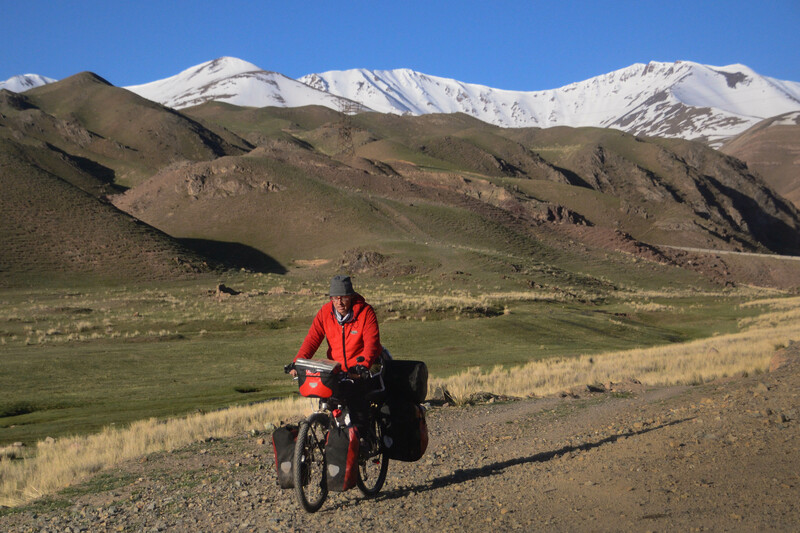 The following day the notorious Central Asian headwinds pounded us hard as we began some serious climbing. 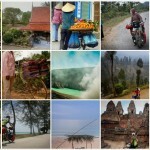 The general consensus is to travel eastwards in this part of the world. We were heading west back to Europe and not looking forward to fighting vicious winds the entire way. Our resolve to make it up the first 2,000 meter pass waned and by midday we’d decided to hunker down and wait for more favorable conditions. During the night the winds died down. We’d made the right decision. The morning cycling was glorious! What a change from sheer misery to perfect joy while pedaling. We knocked out the pass and rolled back down to the lowlands. We were back in the swing of touring. I climbed the next pass, at 3,000 + meters, with confidence. Not knowing, at the time, that we’d climb it again, just two days later. 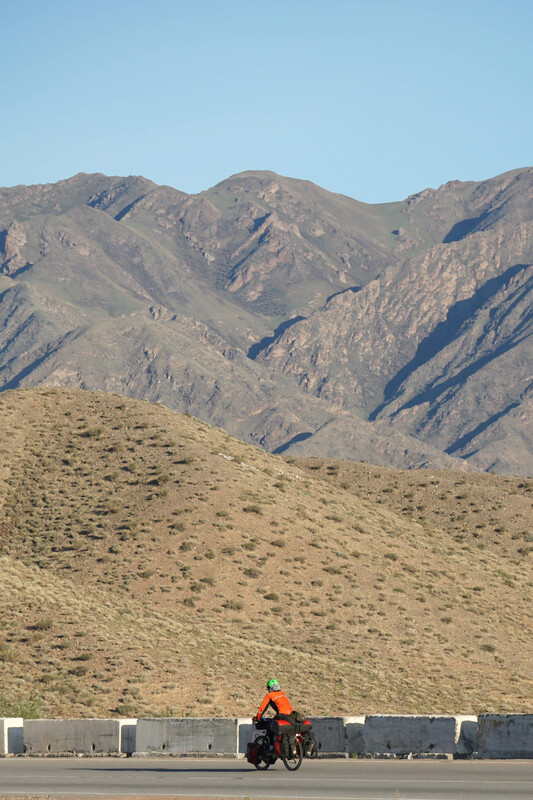 In the pretty little town of Naryn, we discovered the road ahead to Jalal Abad was not yet open for the season. The news hit us like a bombshell. Sure, the road climbed up over a couple of 4,000+ meter passes, but for some reason, we just hadn’t imagined it would still be closed in mid-May. 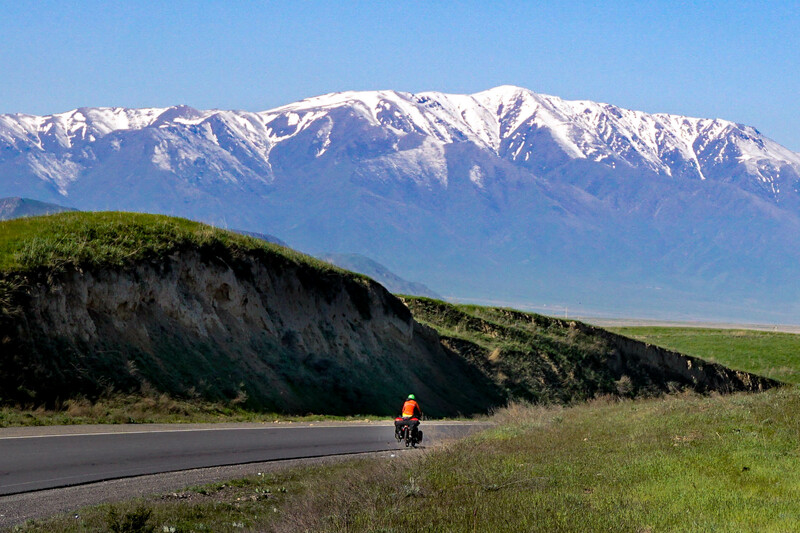 With resignation, we turned our bikes around and pedaled over the same two passes back to Bishkek. In all honesty, we enjoyed take two just as much. Before heading out of Bishkek, we popped into the local market to stock for the journey ahead. 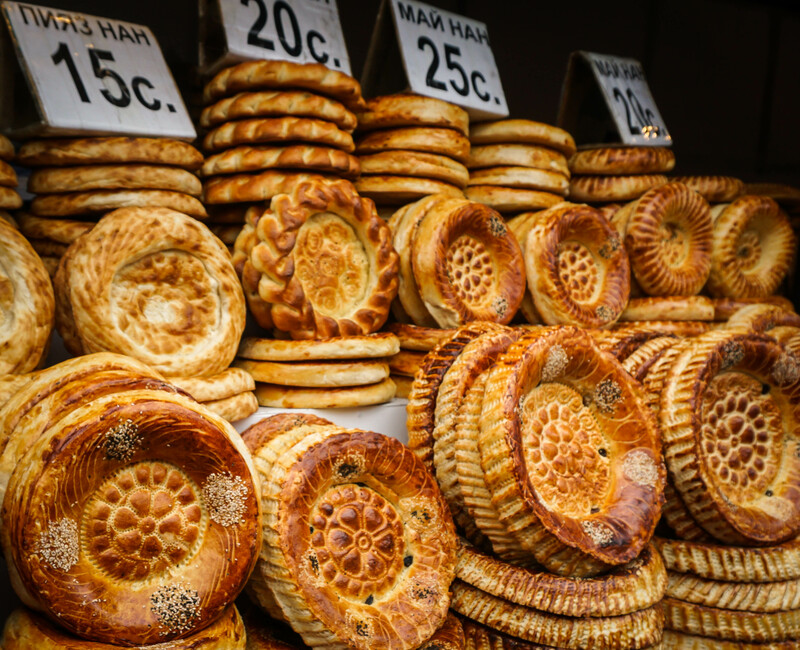 Freshly baked bread is one of my absolute favorite things to eat and Central Asia does not disappoint. Even shops in small towns and villages offer a wide range of tasty baked goods. 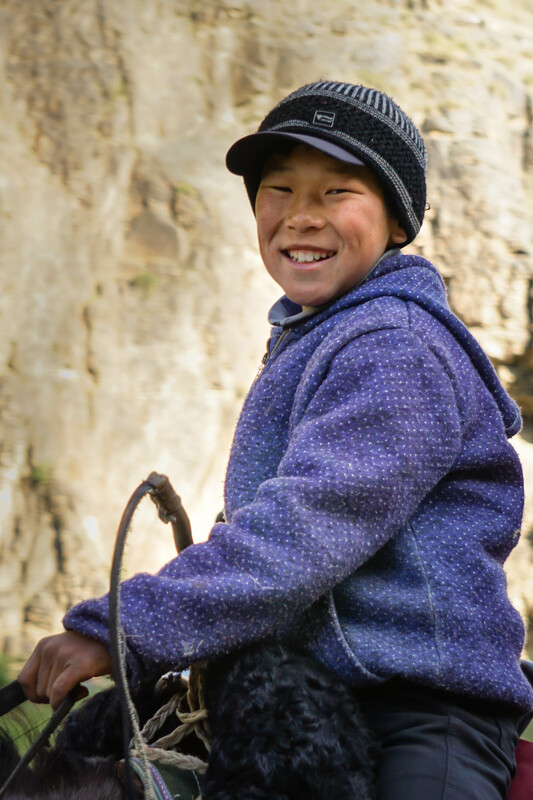 Even young kids are real bad asses on horseback. 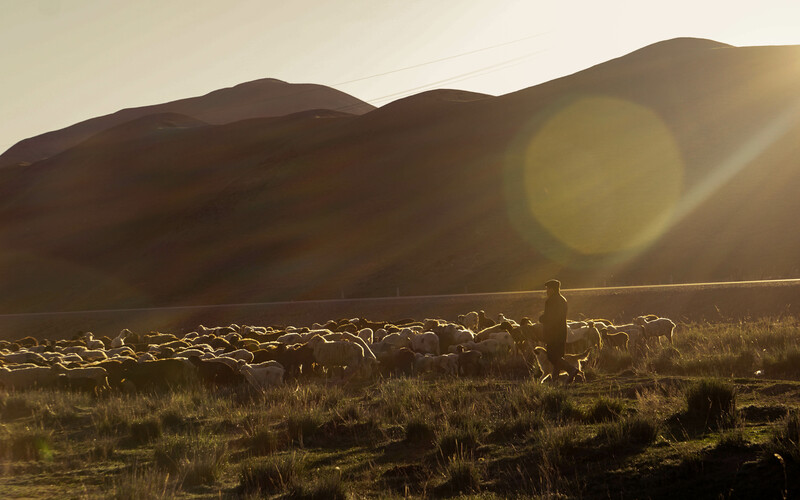 Local herder just saying hello. This gentleman rode over to offer us a place to camp for the night. 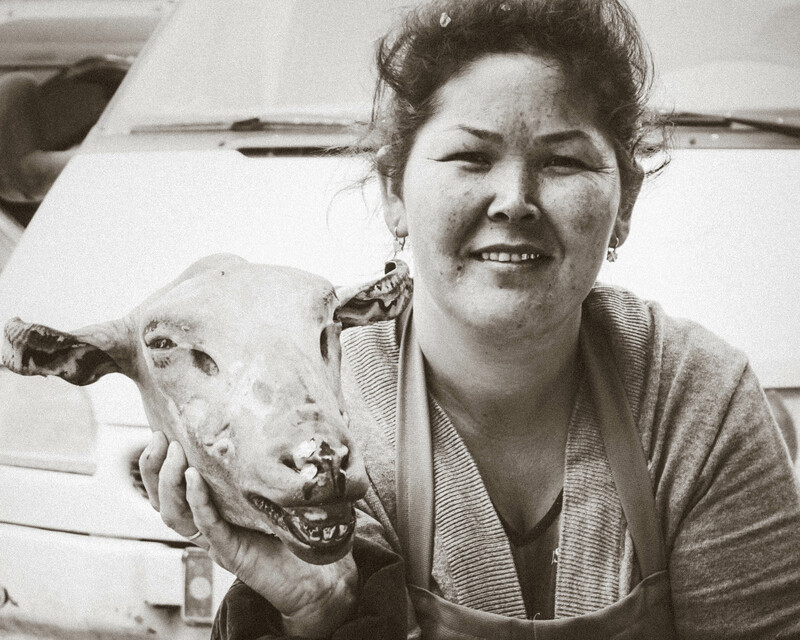 Proof that the meat this women is selling is freshly slaughtered. 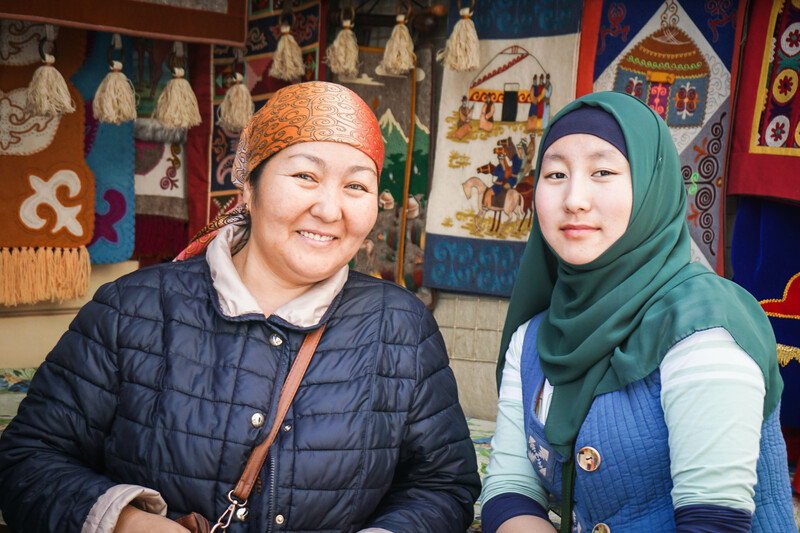 Local women giving me a smile in Bishkek. So proud! Not the highest pass I've conquered, but after 6 months of lazy wandering across the US I was doubting my ability tackle mountains. 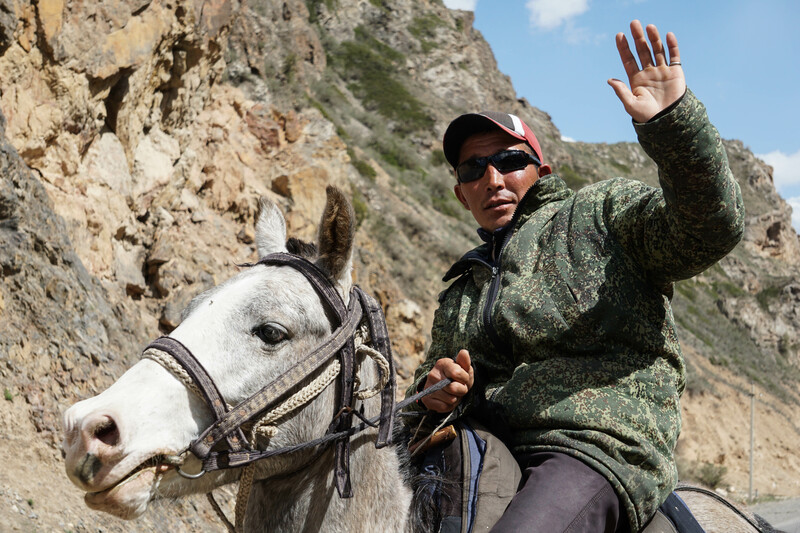 This pass on the way to Naryn was a respectable 3,000 meters (10,000 feet). 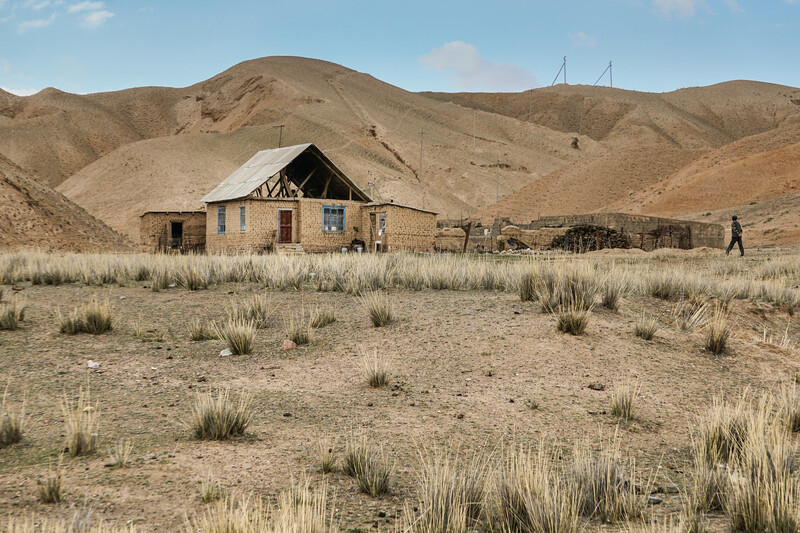 A typical farmhouse in Kyrgyzstan. Simple but cozy on the inside. 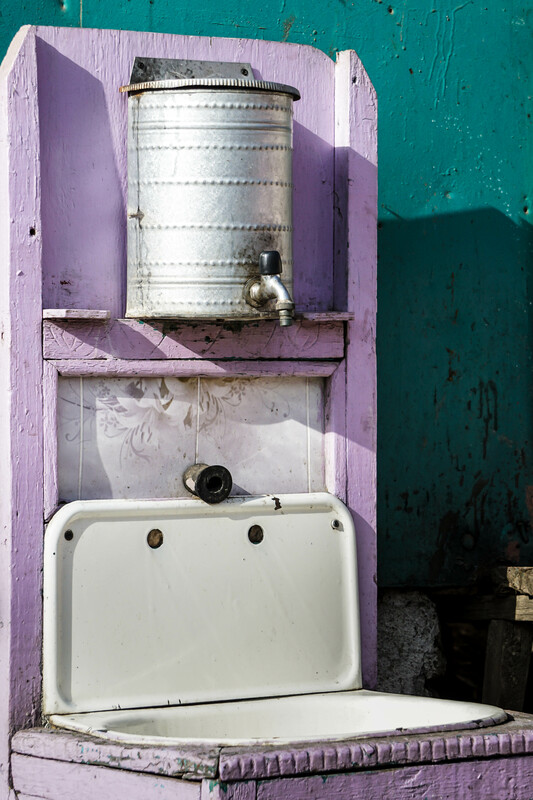 Piped running water is something of a luxury in Kyrgyzstan. This system works just as well. 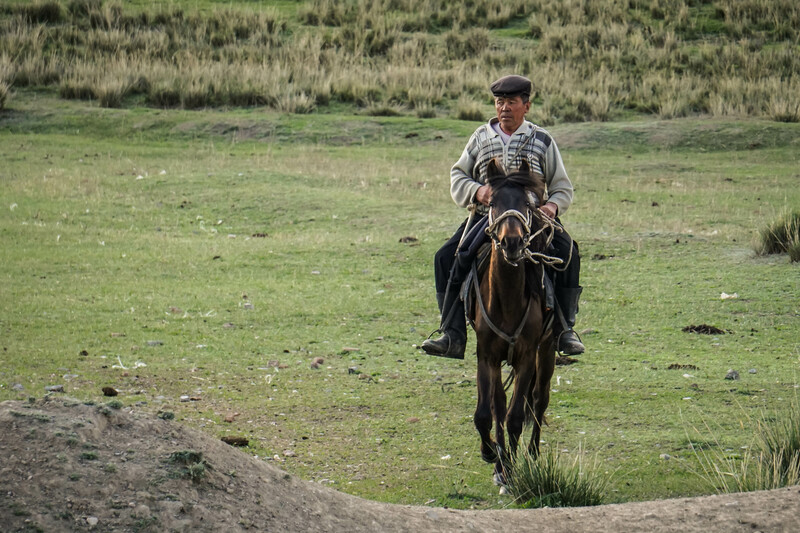 See who rules the roads in Kyrgyzstan! When Eric's back tire suddenly exploded, we decided to stop early and pitch up in this idyllic spot. One of those 'silver linings' moments. Central Asia was worth waiting for! 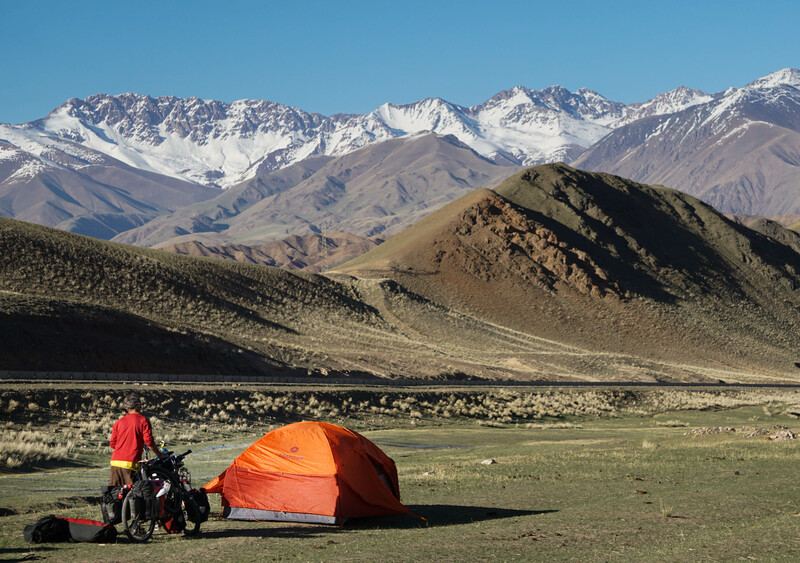 Time to head back down from the high passes and bike back to Bishkek. And to think this is just the beginning of Central Asia!